Have you ever wondered what is it that gets compromised when you have to meet a deadline? Or, sacrificed when you have an early flight to catch? Of course, it’s your sleep. Despite its significance, 1 in 3 adults does not rest well as per the findings of the CDC. Approximately, 35% of the adults in the US are not getting the recommended seven hours of sleep. The problem is that we can’t simply shove all the sleeplessness under the rug. 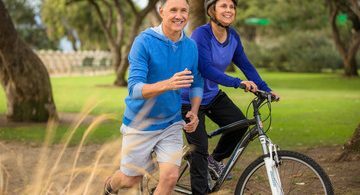 It is linked with tons of health concerns including a spiralled risk of Alzheimer’s disease, the most common type of dementia. There are an estimated 5.7 million patients of Alzheimer’s living in the USA. In fact, the progressive degenerative disorder takes a new patient under its belt every 65 seconds. The problem arises as a significant bond emerges between sleep deprivation and dementia. What’s more, the link between dementia and sleep goes deeper. 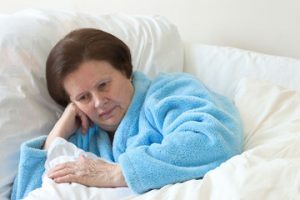 Not only does a shortage of sleep chip in the risk of developing dementia but it goes on to become one of the leading problems for patients with the cognitive ailment. Let’s dive in deeper to find out more about how sleep and dementia are related. You probably shrug off the effect of a restless night with a few yawns and a caffeine-loaded cup of coffee to up your zing. Unfortunately, those are only the short-term implications of catching the recommended zzz. In the long haul, you are feeding your risks of several health concerns including cancer, depression, and kidney diseases to name a few. Mounting research now indicates that wakefulness rockets your risk of developing Alzheimer’s disease. Deficient amounts of sleep can alter your brain in a significant manner. Essentially, Alzheimer’s is a brain disease that is characterized by a decline in cognitive functioning. People with this ailment exhibit brain inflammation, damaged brain cells, and an accumulated concentration of beta-amyloid proteins. On top of that, there are observable tau protein tangles in the brain. All these factors represent the brain of an Alzheimer’s patients. What is surprising, however, is that these markers are increasingly becoming common among folks who sleep poorly. Recent research also concludes that getting disturbed sleep amps up the odds of the degenerative disorder. In such a case, the concentration of Alzheimer’s-related proteins in the spinal fluid and brain of sleep-disrupted individuals amplifies. A 2017 study outright declares that a sleep-deprived person, who is otherwise healthy, is at risk of developing Alzheimer’s. These findings are in contrast with people who are healthy and sleep well too. However, in addition to being a risk factor, certain research views poor slumber as an early sign of Alzheimer’s disease. A study suspects long hours of sleep as a possible early symptom of the cognitive illness. It found out that people who slept for more than nine hours per night regularly were two times more likely to have Alzheimer’s. The investigation suggests that it is possible for such people to develop any form of dementia, not just Alzheimer’s, over the coming ten years of such an oversleeping pattern. Another study came to a similar conclusion. It found that excessive drowsiness among older adults was an early indication of brain atrophy. It said that brain atrophy in such instances is more than what is expected in seniorhood, especially, in brain areas that are susceptible to Alzheimer’s. 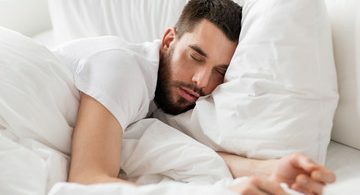 Moreover, there is evidence that indicates that developing rambling speech in sleep may be an early telltale sign of mild cognitive impairment (MCI). Several cases of MCI, in turn, culminate in Alzheimer’s disease. Hence, it is safe to say that sleep, whether a lack of it or too much of it, can severely affect cognitive performance. In the long-term, disturbed sleep behaviour can reach a finale of psychiatric health concerns such as dementia. An extensive amount of research has concluded that the nature of the relationship between sleep and dementia is complicated. For one, it is not clear what causes what. For instance, researchers are unsure whether dementia causes sleeping troubles or if sleep exacerbates dementia. There is a possibility that the relationship is circular. In that, both affect each other. Secondly, the underlying mechanism is also not clear. To add to the muddle, sleep problems experienced by patients vary as per the type of dementia they have. Typically, patients find it hard to access their memory after a restless night. Some of the common sleep problems include light sleep disorders, sleep-wake cycle disorder, and sleep-disordered breathing among others. Light sleep disorders display the leading sign in which people act out their dreams. It is typically common among patients with Parkinson’s disease and Lewy body dementia. Similarly, sleep-wake cycle disorder is recognized by issues such as difficulty in falling asleep, staying asleep, drowsiness during the day, and so on. This disorder is common in patients of Alzheimer’s. As its name reflects, sleep breathing disorders lead to breathing problems during naps. This is common among various types of dementia. Most patients of Alzheimer’s face the problem of sleepless nights. Such patients also experience waking up several times throughout the night. As their condition deteriorates, their wish to sleep during the days also bolsters. When the sun goes down, they grow more agitated. Such a condition goes by the name of sundowning or late-day confusion. The association between sleep and dementia is indeed strong. It’s best to sleep for the recommended hours to stave off the risk of Alzheimer’s disease. You can learn about the cognitive illness from sites such as DementiaTalk. Also, a website such as the National Sleep Foundation can guide you about sleep problems. For those of you who have trouble sleeping, turn off your phones and other gadgets before you head to bed. Dim the lights to create a relaxing environment before bed, which welcomes sleep. You can also mediate or take a warm bath to unwind. Practice more of sleep hygiene tips to get peaceful bits of shut-eye. Then you will get the best sleep ever. About Ashley Rosa: Ashley Rosa is a freelance writer and blogger. Writing is her passion, that is why she loves to write articles related to the latest trends in technology and sometimes on health-tech as well. She is crazy about chocolates. You can find her on twitter: @ashrosa2.